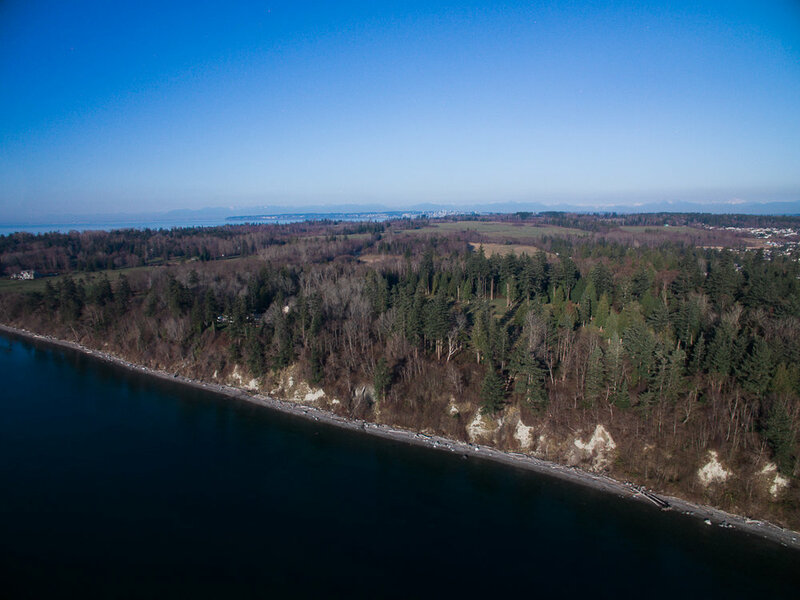 Here is a unique opportunity to purchase 105 acres with approximately 1000 feet of pristine Ocean Front in upper Washington State, just a few miles south of Peace Arch Park and the Canadian Border. 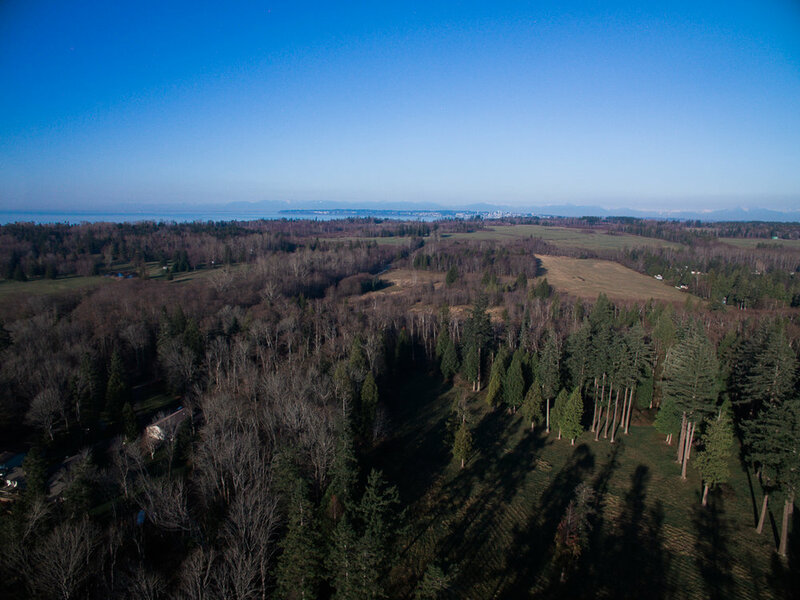 The location is one of the most beautiful areas along the Salish Sea with views of Mt. Baker to the East and the mountains of Vancouver Island to the west. 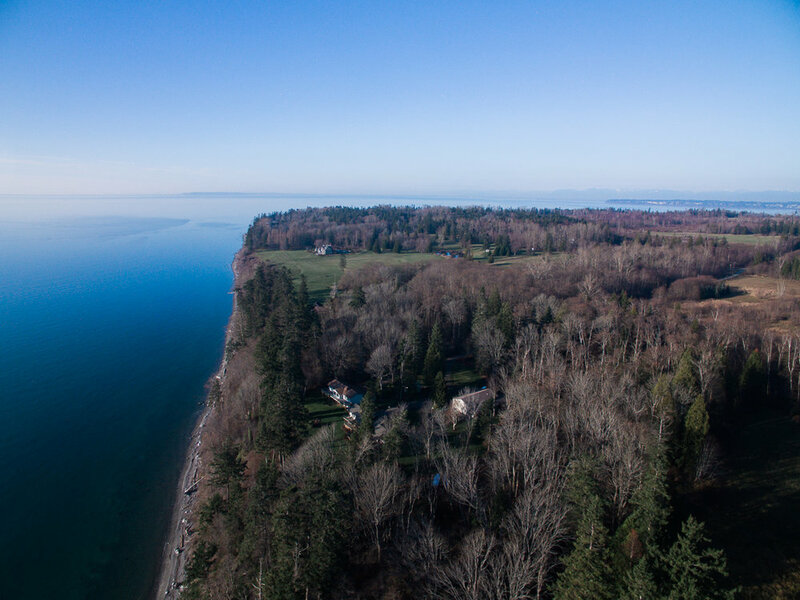 The site is located just north of the charming Ocean Front community of Birch Bay within Whatcom County. Located just 100 miles north of Seattle it is only a 1 hour and 45-minute drive. OR, just 35 miles south of Vancouver, BC. ; two of the world’s most beautiful cities. Birch Bay or B-Bay as the locals call it has a variety of Ocean Front restaurants, hotels, waterparks and gift shops to visit. There are also several well-known Factory Outlet Malls on nearby I-5. There is also Bellis Fair Mall in Bellingham just 15 miles to the south. There is also the Bellingham International Airport with multiple daily flights to Seattle, Portland and Las Vegas; with connecting flights globally. However, one of the most attractive amenities to the subject property is the World Famous Semiahmoo Resort Golf and Spa just 3 miles north. Known for amazing seafood cuisine, body treatments, massages, boating, fishing and sunsets. The resort also has 35,000 sf conference center, a year-round accessible boating Marina and miles of walking trails along the coast. If golf is of interest, the resort has an award-winning Arnold Palmer Designed 18-hole golf course which is OPEN YEAR-ROUND. 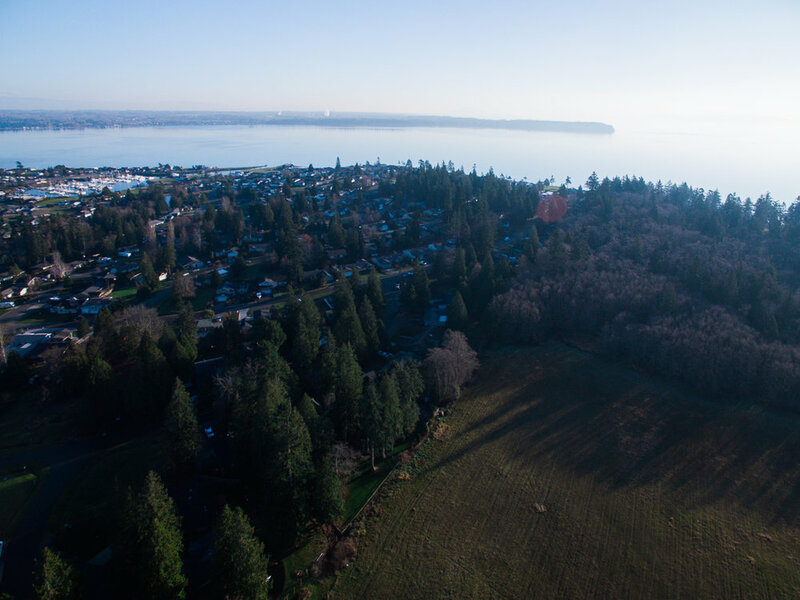 The Semiahmoo Golf and Country Club is rolling, water and tree lined masterpiece course designed for golfers to enjoy nature at its best.